Combining English vocabulary and phonics to give children the best start! Not yet available to buy: arriving end of May 2019! Who is Jolly English for? 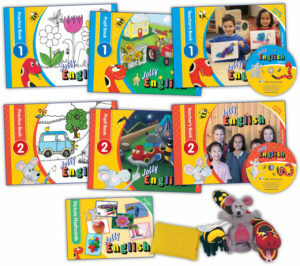 Jolly English is an English language course that has been carefully developed and sequenced for pre-school children who have little or no knowledge of English. Join Inky Mouse and her friends, Snake and Bee as they discover new words and phrases using songs, games, chants and stories that bring the course to life and develop children’s English language. This comprehensive course enables teachers to embed essential English vocabulary in their students. It will also help develop children’s awareness of the sounds of the English Language. Vocabulary is introduced gradually and the introduction of phonics concepts is systematic. 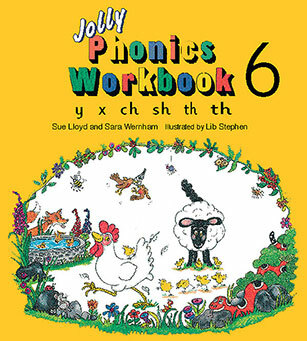 Jolly English lays the foundations, so that children are prepared and ready for the Jolly Phonics programme. Using the tried and tested principle of Presentation and Practice, children are introduced to new words and phrases. New language is introduced through a series of topic-based units. Age-appropriate activities using songs, chants, games and role-play. Multi-sensory activities hone children’s listening and speaking skills. 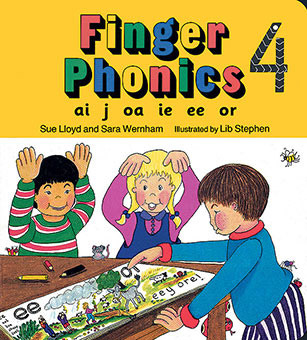 All 42 sounds are introduced in the Jolly Phonics sequence. Continuous revision and consolidation built into the course. Develops children’s fine motor skills. Flexible, fun and easy to implement in school. Can Jolly English be used in different teaching contexts? The course has been developed, so that it can be used flexibly to suit different classroom scenarios. Jolly English can be completed in a year or spread out over two years depending on the number of teaching hours available. The course comes in two levels, with each level providing 44 lessons that take 40-45 minutes to complete. A Teacher’s book with step-by step lesson plans and guidance for every lesson, plus all the audio material required. A colour Pupil book with stickers, for children to work through in the classroom to reinforce the lesson. 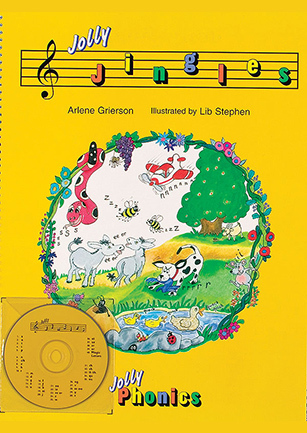 A black and white Practice book, which provides children with further opportunities to revise and consolidate the teaching. These can be used in class or at home. 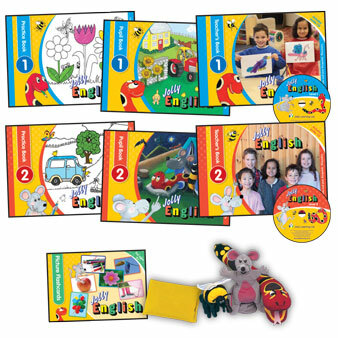 Flashcards, beanbags and puppets can also be used to help present and practice new language (available in the Jolly English Teacher’s kit only). The new Jolly English programme is scheduled for release in May 2019. If you would like to be contacted as soon as it is released, or would like to be updated if there are any changes to the release dates or further news, then please press the button below to sign up and register your interest.